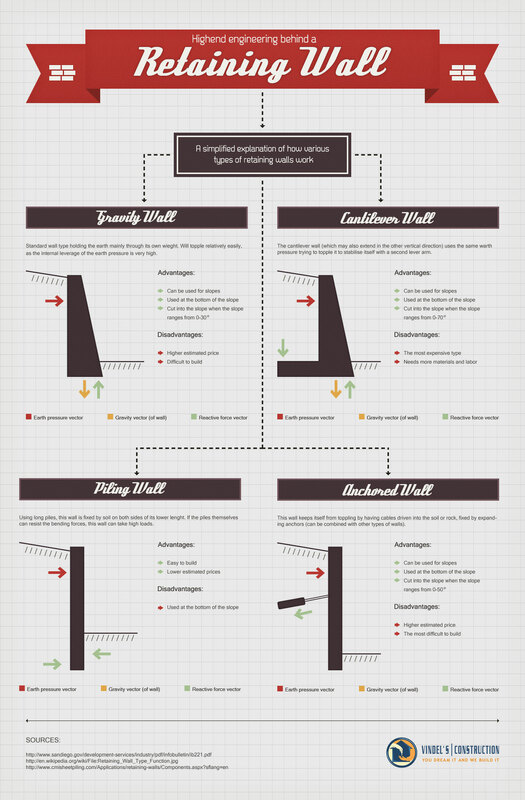 We are happy to announce a series of infographics on various subjects regarding retaining walls. The purpose of these infographics is to give the reader the opportunity to easily picture retaining wall engineering. Enjoy our first infographic.